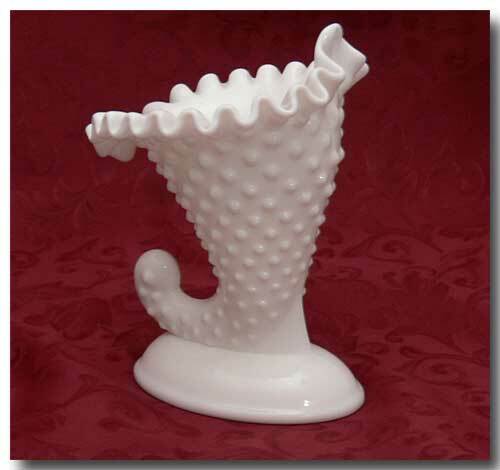 Vintage Fenton milk glass cornucopia candle/flowerholder. Unmarked. Produced by the Fenton Art Glass Company C. 1950s.